Nutter Butter sandwich cookies are now covered in delicious chocolate fudge and we are super excited! Just when we thought treats for peanut butter lovers couldn’t get any better, we heard about Fudge Covered Nutter Butter Cookies. YUM! The rumors are true! PB and chocolate are two of our favorite things. Nutter Butters have remained consistently amazing over the years, with two soft and crumbly peanut-shaped cookies sandwiching a creamy peanut butter filling. Why would anyone want to make changes to something so amazing? Well, if it means dunking a round version of an extraordinarily tasty PB cookies in chocolate fudge, count us in! We haven’t had a chance to try them for ourselves just yet (we’re on the hunt! ), Instagram’s @CandyHunting was lucky enough to find a box and says that they taste similar to a Girl Scout Tagalong cookie with a little extra crunch. It's a National Peanut Butter Day miracle! I found a new Nabisco cookie shortly after its release! The flavor of these new Fudge Covered Nutter Butters is nearly identical to that of a Girl Scout Tagalong cookie. These are crunchier, though. It's a great balance of chocolate/peanut butter and crunchy/creamy. It's going to be difficult to stop eating these... 8.5/10. Found these at Target (after their in store pick up failed me... again). 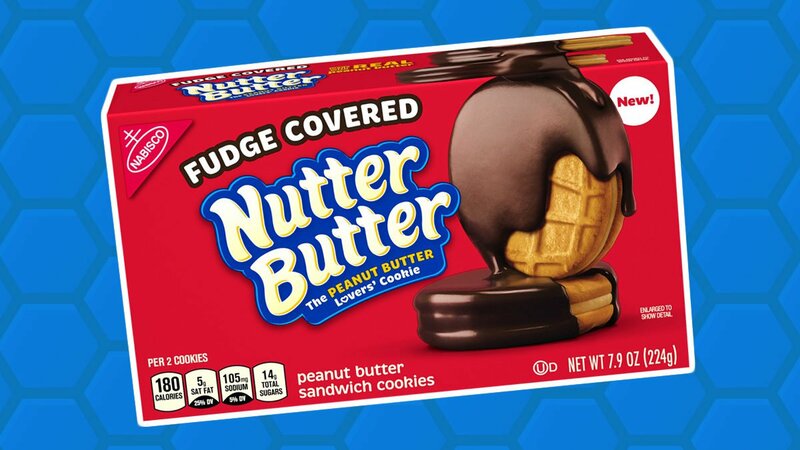 So far, there have been limited sightings of Fudge Covered Nutter Butters, and the new Fudge Covered Oreos at Stop and Shop, Target and Giant Eagle. If you can wait for them to be shipped, Fudge Covered Nutter Butters are also available on the Target website for $2.99. Be right back; we have some cookies to buy! Article by Lauren Naru for Taste of Home. View the original article here.